Join our efforts to reduce the stigma and discrimination that surrounds mental illness. Join a committee, volunteer your time or share your feedback. The CARE Center provides free, urgent mental health services. Shasta County Health and Human Services Agency is making available for public comment its Mental Health Services Act 2019 Annual Update to the Three-Year Program and Expenditure Plan. The public has an opportunity to provide input regarding this document through a 30-day public comment period. Public comments are to be received no later than 5 p.m. on April 30, 2019. Comments should be sent to Kerri Schuette, MHSA Coordinator, to 2615 Breslauer Way, Redding; or e-mailed to kschuette@co.shasta.ca.us. Please join us for our quarterly MHSA workgroup meeting at 10:30 a.m. Tuesday, April 9, 2019, at the Boggs Building - 2420 Breslauer Way. We've got updates to share, and we'd like your thoughts on some new ideas. 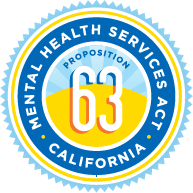 We're proud of the many ways that the Mental Health Services Act is making a difference in our community! Find our road map for the future here, and our 2018-19 annual update here. If you are in crisis, please call the Shasta County Health & Human Services Agency's Access Line at (530) 225-5252 or toll free at (888) 385-5201. These programs aim to change the public mental health system by improving systems, expanding services and creating new systems of delivery. We're bringing mental health awareness to the whole community through these programs. Our goal is to create a more diverse public mental health workforce that includes clients and family members. The lobby at 2640 Breslauer Way has a fresh, warm and welcoming new look, thanks to this funding. Shasta County's Innovation project, the CARE Center, relied on plenty of input from the community. Here's the latest update on MHSA.